Hilary and Calvin got married in August on a day that started out cool and cloudy and ended up really hot during the ceremony at the top of Mount Tolmie. The heat was worth enduring for a sweet ceremony in a gorgeous setting. I loved Hilary’s unconventional custom-made dress. Also awesome – a bunch of men in kilts, including an uncle playing the bagpipes. 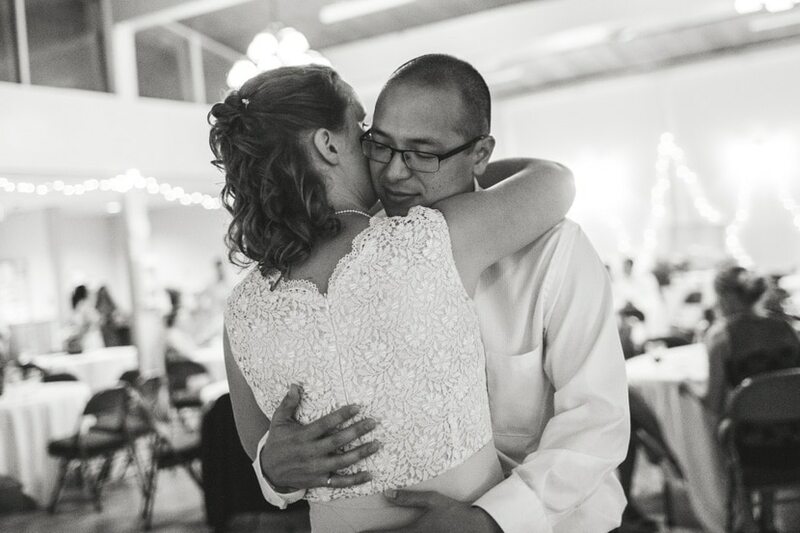 This wedding was a lot of fun, laid back, and full of surprises. I kept hearing that Calvin loves to dance and was looking forward to seeing some moves at the reception. Hilary and the wedding party stole the show though with a surprise for Calvin: a choreographed dance, which featured a medley of pop songs including the Spice Girls and paper masks featuring Calvin’s face. The Calvin masks made a return later in the reception when everyone wanted to wear them while dancing. And yes, Calvin can dance. And Hilary and their guests weren’t too bad either. 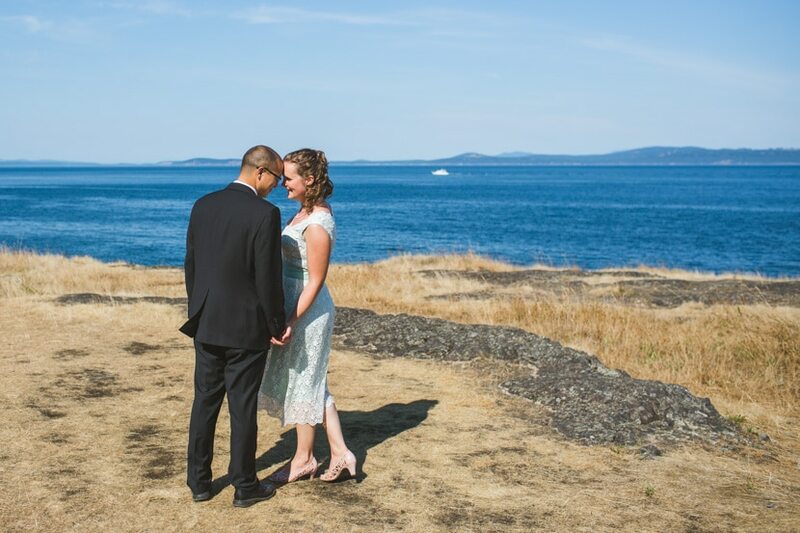 Planning an awesome wedding in Victoria, BC? Check out my wedding portfolio.